We’re still fighting. But this time, for a job. There are now 22.3 million U.S. Veterans, and this number is growing daily. However, decades of challenges at the U.S. Veterans Administration persist. There are so many stories of the challenges our veterans are having getting U.S. government assistance. 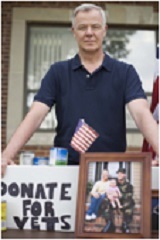 We at Veterans1 want to hear your story, because we know there are many nonprofit alternatives that can help! If you or someone you know is caught in the bureaucracy and is not receiving benefits he or she is entitled to, please let us know. If you know an unemployed or underemployed veteran, we want to hear your story, ideas and solutions. Veterans1 believes your tax dollars and donations should go to getting veterans hired with less going for failing U.S. government programs. Veterans1 has been involved in philanthropic and voluntary support to wounded military and veterans groups for over 11 years, including the Wounded Warriors Project, GI Film Festival, and volunteerism at military hospitals. Veterans1 put a priority on solutions that do not require extensive government involvement. The challenge for our military to transition into new civilian careers remains great. Nationwide, the unemployment rate for veterans is over 10.3%. If you or someone you know is caught in the gap as an unemployed or underemployed veteran, we want to hear that story. We also want to find groups in your local area that support veterans in the transition to civilian life. 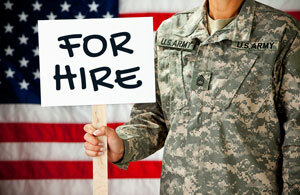 Veterans1 understands the challenges our veterans face in getting a civilian job. Training and education can prepare our vets for challenging, new careers. Veterans need access to vocational counseling, to translate military experience to civilian opportunities. Job fairs can provide immediate access to real job opportunities, with employers hiring right now. Entrepreneurial programs can expose veterans to exciting new options to use their leadership skills.Initiatives like the Military and Veterans Employment Expo (MVEE) involves dozens of major employers where our vets engage in same day training and participate in interviews with companies who hire our veterans on the spot. 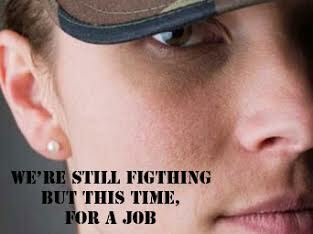 We know that the issue of veteran unemployment does not stop there. A recent study reported: “The effects of veteran unemployment extend far beyond a lack of income and the risk of poverty. The two most prominent health related problems of veteran unemployment include depression and suicide.” Veterans1 campaigns vigorously to support job development programs that address these issues and mentor veterans to overcome these challenges. The Congressional Veterans Affairs Committees agree that it is crucial for our communities to provide solutions involving less government and more nonprofits and volunteer efforts to overcome this long-standing problem at the VA. For example, Senator Richard Blumenthal of Connecticut champions job fairs for veterans and stresses that we need more research on veterans’ unemployment rates compared with national unemployment rates. Then, we canget the problems caused by the bureaucracies out of the way. Senator Jon Tester of Montana promoted the role of VSOs and mental health providers as crucial local partners in Montana, and he is encouraging more local and state-based partnerships across the country. If you know of a nonprofit VSO that is doing a great job in assisting our veterans anywhere in America, we want to know about them! We want to raise awareness and encourage others to be supportive in your local area through our national partners such as the Real Estate Business & Social Enterprises Association (REBSEA), whose members make donations to local veterans groups and have multiple VSO members. Send us a message through our website, share positive stories, and we will keep our friends in the know!Veterans1 is committed to finding and advancing as many VSOs as possible, and educating the U.S. Congress on the great work that nonprofits can do – independent of the bureaucracy that keeps veterans who need help now on unnecessary waiting lists…. Join us in this campaign by sharing your comments, registering your name and email address to receive our newsletter, or by making a donation.Thank you!